Bob serves on the Board of Directors for the Nassau-Suffolk Trial Lawyers Association, and on the Board of Trustees for both the Catholic Health Services Continuing Care Division and the Maryhaven Center of Hope Foundation. Additionally, Bob is a member of the Advisory Council for Stony Brook University’s Athletic Department. Bob has lectured extensively on issues of pretrial discovery and trial practice before the New York State Bar Association, New York State Academy of Trial Lawyers, and Suffolk County Bar Association. Bob is admitted to practice in New York, Maryland, and in the United States District Court, Eastern and Southern Districts of New York. 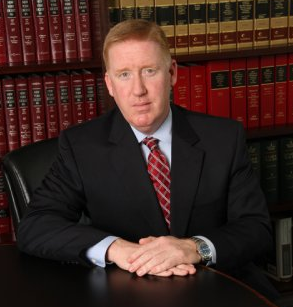 He is a member of the New York State Bar Association, the Suffolk County Bar Association (Supreme Court Committee, Judicial Screening Committee), the Nassau-Suffolk Trial Lawyers Association, and the Defense Research Institute. Bob Doyle earned his Juris Doctor degree in 1992 from Washington & Lee University School of Law, where he competed on the National Moot Court Team. In 1989, he was awarded a Bachelor of Arts degree in American Government from the University of Virginia.